Jason is a well established club DJ and member of the Musician’s Union with such a variety of music experience from working in so many well known clubs (listed below) with different music policies from House, Trance, 60’s, 70’s, 80’s and 90’s, RnB and Hip Hop, Funky House and Electro, to Commercial Pop and Chart. 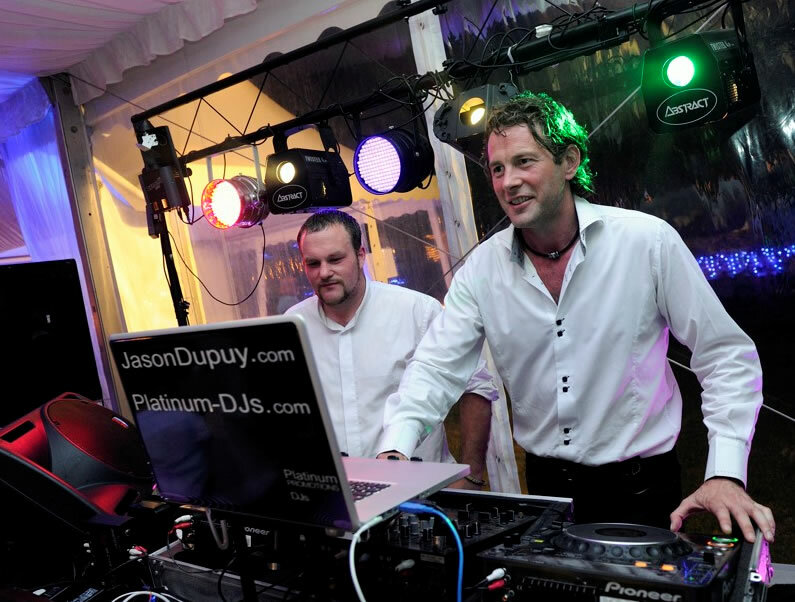 Jason is armed with the right music for any event and has the valuable experience to back it up. Jason uses his mobile Night Club set up which consist of 3 QSC Packages, 4000 Watts & 6000 Watts, complete with a UHF Radio Microphone for speeches. 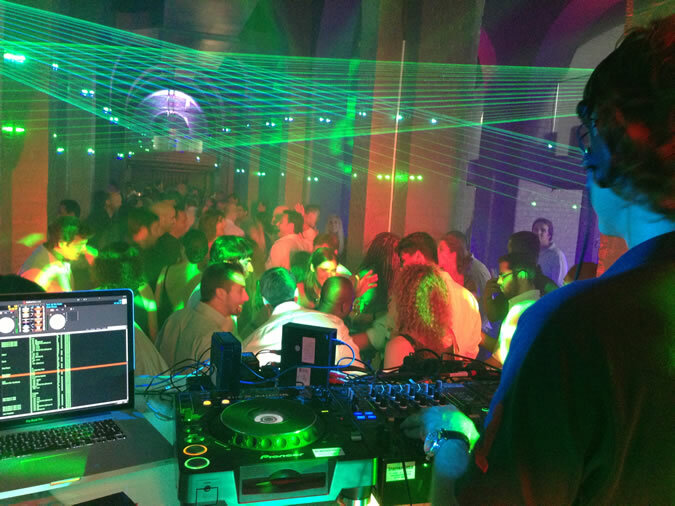 Also included is a really impressive Overhead Lighting Gantry using Intelligent Projection Lighting as used in Night Clubs with full colour 1000 Watt 3D lasers, high power club scanners, tasteful projection lighting, mood lighting and top of the range LED star cloth DJ booth. Jason’s enjoyment comes from watching people thoroughly enjoying themselves, dancing to the music he plays – to him there is no better feeling! 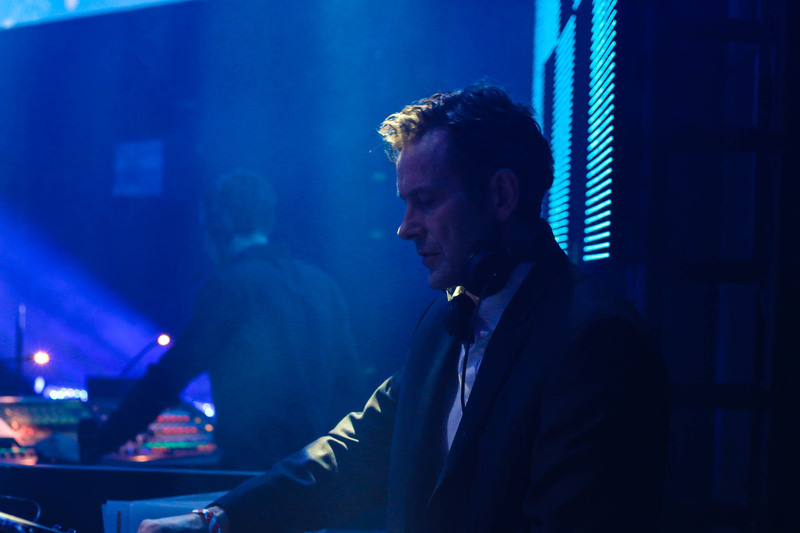 He is a very experienced Event and Club DJ (from House of Commons to Ministry of Sound). He is extremely friendly, reliable and will always play your requests and favourite tunes to produce a thoroughly enjoyable performance and memorable party. Jason provides the best portable Sound System available on the market. Not just in terms of volume, but clarity and punch. This means the volume doesn’t necessarily have to be loud to build a great atmosphere throughout the evening. Volume is built up in a subtle and tasteful way, appropriate to each event. 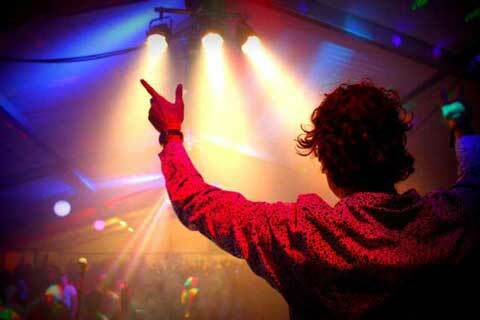 He has used his QSC Sound System in festival tents, corporate and celebrity parties, weddings and private events. 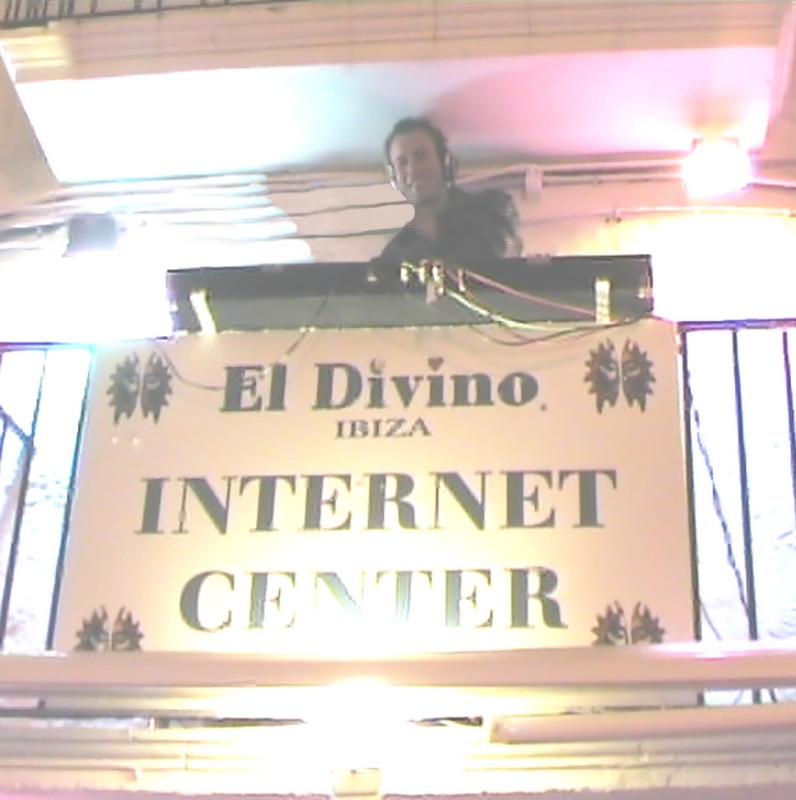 Ideal for parties between 30 and 2000 people. The Mobile Night Club Upgrades consist of 3 QSC Packages, 4000 Watts & 6000 Watts, complete with a UHF Radio Microphone for speeches. 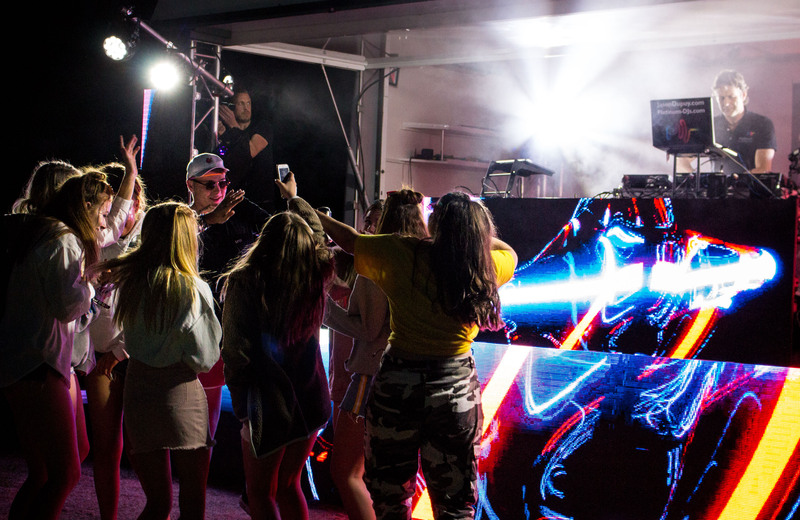 Also included is a really impressive Overhead Lighting Gantry using Intelligent Projection Lighting as used in Night Clubs with full colour 1000 Watt 3D lasers, high power club scanners, tasteful projection lighting, mood lighting and top of the range LED star cloth DJ booth. Jason guarantees to play all of your requests made in advance no matter what genre, if they are provided on UK release. He carries 120.000 tracks with him for guests to make requests on the night and will constantly strive to play tracks to keep the dance floor packed at all times, entertaining all the age groups in attendance and catering for as many tastes as possible. 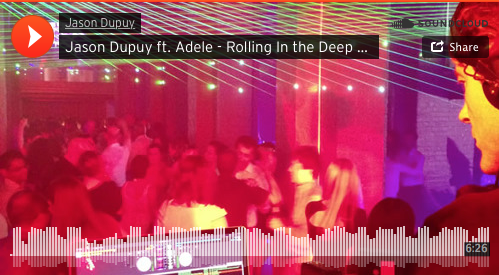 Listen to the latest music mixes by Jason. © 2019 Jason Dupuy. Built using WordPress and OnePage Express Theme.